The dwarf Washington navel orange is popular for eating and juicing. Classified as a sweet orange, the tree grows between three and eight feet tall, with semi-dwarfs slightly taller. The dwarf Washington navel orange tree can be grown in the ground in USDA planting zones 9 through 11, and in containers everywhere else. Caring for citrus in containers is always a little more work than in the ground, but for some folks in the northern climates, it is well worth it to for the fresh oranges. Water the tree once a week if grown in the ground, 2 or 3 times a week in a container. Soil should be kept evenly moist but not soggy. Container soils can dry out quickly during a hot, dry or windy day, so monitor closely. Young trees should be fertilized only after you start to see some growth. Use a liquid or granular fertilizer in May, June and July. Trees 2 years and older only require fertilizer once a year, in January or February. Container citrus should be fertilized more often with a diluted fertilizer. Follow manufacturer’s direction on how much to apply. Place a 2-inch layer of organic compost on the soil over the roots of the tree late in the spring. Keep the compost four inches from the trunk. The compost will leach into the soil when it is watered and provide nutrition and oxygen, and keep weeds from growing. Prune dead, broken or diseased branches off the tree whenever you notice them. Citrus trees do not normally need pruning to shape them, however if you have branches rubbing against each other, cut one to prevent damage. Bring the dwarf Washington navel tree indoors just before the first frost if it is in a container. These trees can be kept indoors year round; however, they are healthier and produce more if placed outdoors from spring until frost. Harvest Washington navel oranges between December and March. 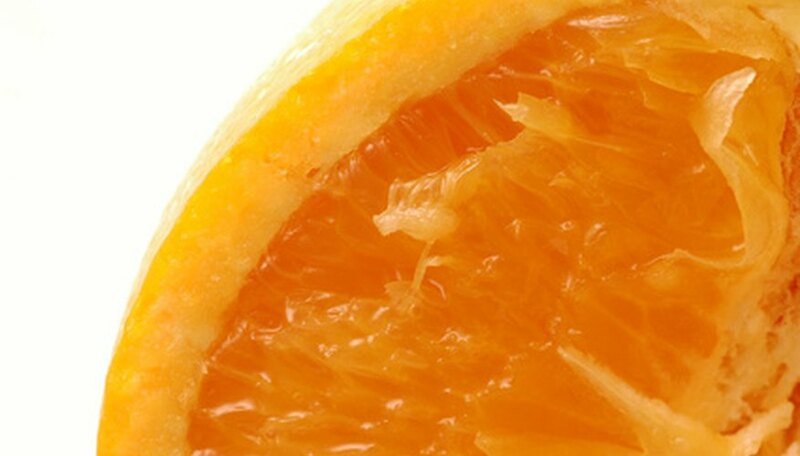 Note that color is not always an indicator of when the orange is ripe. You will have to pick one during these months and taste it to be sure.